This article ran in my newsletter, The WHOLE-istic Life last month. I don’t usually share the information given in my newsletters on my blog, I keep it exclusive. But I felt this information was so important that I’ve decided to repost it here in order to help save you from my pain. If you read this in the newsletter forgive this repeat. Please leave me a comment if you have ever had any experiences like mine. 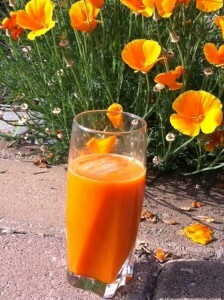 Also I’d love to know if you have tried either of the juice recipes shared and what variations you made. 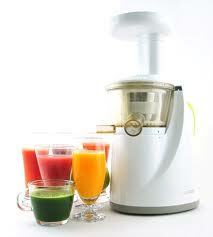 Juicing is a part of my daily easy healthy gluten free living diet. Read and you will see why. There are times during the year that are natural landmarks for a detox. Spring and Fall are the two that most folks use. Four times a year would be even better would be four times a year. The more you do the better and deeper they work. This past couple of weeks, I found another reason to detox – exposure to excessive chemicals that my body couldn’t process. We are having remodeling work done in our house to bring it up to date. We’ve put a new granite countertop in the kitchen and are also remodeling our bathrooms with granite tops for the vanities. I’ve never had a granite countertop and had no idea about the installation process. It turns out that the installers use an epoxy glue for the seams, a chemical to seal the top and another chemical to clean off the top to remove excess epoxy and anything else. I was actually away when the kitchen countertop was installed and arrived home on the evening of May 10th with my son. I got ten steps into the house and, even though the smell was overwhelming, I didn’t realize the physical and neurological effects the epoxy fumes were having on me. Thankfully, my son was with me and as I started to bob and weave he got me upstairs and opened the windows so I could get some fresh air. I kept the windows open all night. The next morning when I awoke the effects on me were apparent. I felt nauseous, tired, and my brain felt detached from my head. I was at a loss for words, couldn’t string thoughts together, my short term memory was not working and I mostly sat in a dazed state. I also had sharp headache pains around my temple that migrated to different spots on my head. I also had aches and pains all over my body in random places. My kitchen was still torn apart so I couldn’t cook myself some good cleansing food. I spent as much time as I could outside in the fresh air. Thankfully, the weather was amazing. We spent most of our meals eating out however whenever I came in the vicinity of any type of cleaning chemicals I immediately become ill. The nausea, dizziness and disorientation returned in full force within seconds. My reaction was more severe than anyone else in my family. 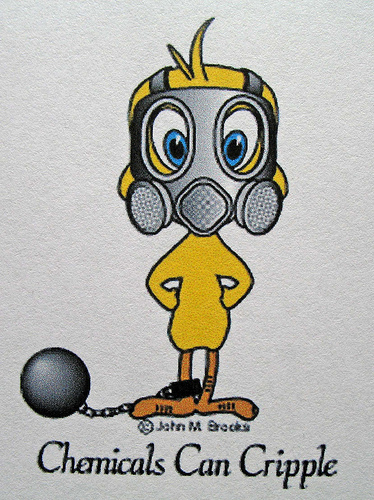 They call me the canary in the coal mine because I detect odorless gas before most other humans. I’m not very happy to have this job but I don’t really have a choice. Thankfully, I’ve taught my family so much about nutrition and detoxing that they stepped in and helped me when I couldn’t help myself. Off we went to the grocery store and filled the cart with lots of kale, parsley, cucumbers, beets, ginger, apples, pears, pineapple, blueberries, strawberries, raspberries, cauliflower and baby broccoli. As soon as we got home I started juicing and drinking. Over the past couple of weeks, I’ve been drinking lots of water and fresh juice to help my body detox. Regular walks outside for some exercise and fresh air has also helped. It’s been almost three weeks and I’m finally able to get back to writing and taking care of my family. I’m not at 100% yet but I know I will be as long as I keep drinking my juice and taking care of myself. I also know that if you are dealing with anything that could be throwing you off balance that juicing and smoothies full of great vegetables and fruit will do your body good. Drink these to detox your liver, get your kidneys and adrenal glands in better shape to work as the filters they are meant to be. Now I’d like to share the detoxing and restorative juices I’m using. If you don’t have a juicer you can make smoothies in a blender. When I watched the video on the Sur la Table website I was convinced this was the one for me. It is very easy to use and very easy to clean up quickly. I’m one of those people if it’s too hard to use or especially clean, I’ll use it once and then it will just sit there. 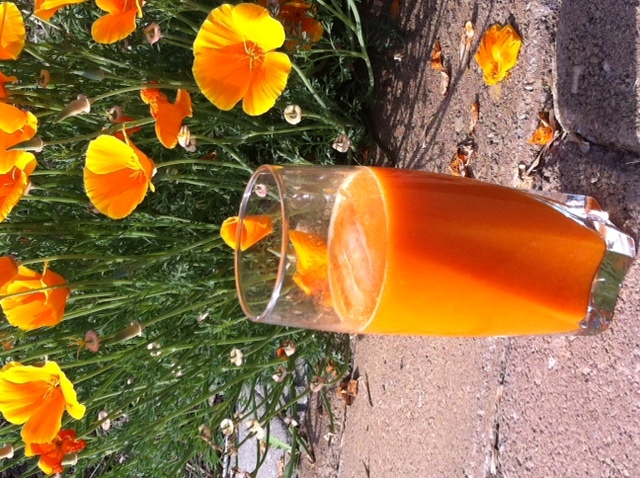 So, with no further ado, here are two of my favorite fresh juice recipes. 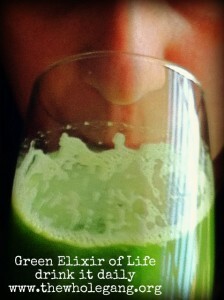 First, you’ll find the Green Elixir of Life which is a great way to mix fresh green vegetables with tasty fruit. The Golden Joy is a great way to sneak in beets. The combination is sweet and even wins the approval of my most extremely picky son. 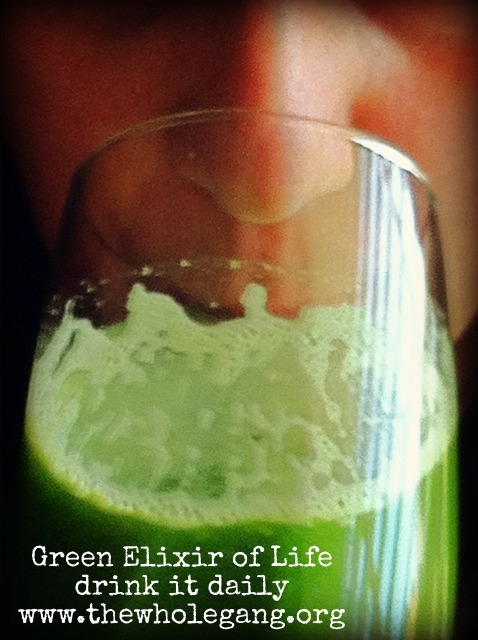 The Green Elixir of Life taste is dominated by the fruit used. The key is to have some type of citric fruit in the mix and your favorite fruits helps too. The only way to know what will work best for you is to play in your kitchen. Just a warning about ginger. It is extremely potent so use only a small amount. By small amount I mean a slice the size of a dime both in roundness and thickness. Taste and you can always add more. Trust me you won’t have enough fruit and vegetables in the house to reverse too much ginger. Put it all through the juicer. I like to run the juice through one more time to get it as clear as possible. I find when I make a pitcher full for the day that it stays together and more fresh for the entire day and even into the next if there’s anything left. Discover what a gluten free coach can do for you! I had a similar experience when I removed the rugs and wallpaper from a very old home. I got so sick, and lost my sense of smell for a very long time. This was years ago, and although I have always been interested in clean living and healthy food, I never really made any type of connection to the toxicity exposure. I thought of it merely in terms of "irritants." How wonderful that you were able to recognize what was happening in your body, and that you took steps to heal yourself. I have since become very aware of exposure to toxins. It was the beginning of my learning about keeping my home toxin and chemical free. This is a great article and your advice is extremely helpful. Carolyn I'm sorry to hear about losing your sense of smell. I think once something like this happens we are a lot more susceptible to having toxins bother us even when we're not figuring out the connection. For me it was an immediate reaction but I'm not sure if it's been the only exposure. Great job on working on your home. wow, what a great post! actually, one of the theories of how i developed Ulcerative Colitis is that I was exposed to an airborne toxin when we got our house remodeled. I was diagnosed with UC the following year! toxins are dirty, dangerous stuff! thanks for sharing! Wow thank you for sharing Caralyn. 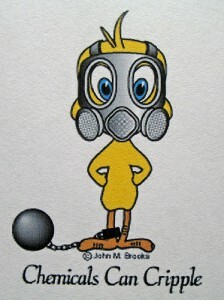 Did you know what the toxin was and know how to avoid it now? I don't think people think about how dangerous these chemicals are in our homes. I hope you are doing wonderful now. Diane – this topic is is a much-needed one to write about. I'm so glad that you were able to figure it out AND that you shared with us the power of healing through foods. The two juices sound great. I'm definitely going to try them both. And boy, would I love one of those Hurom's. I have a Champion which works great, but I saw the Hurom in action at a Williams Sonoma recently and I was amazed at how dry the pulp was. What an excellent machine! Thanks for sharing! Ellen it's amazing how many ways our bodies can put to work the great nutrients we can give it in fresh juice. I hope you give that Champion a work out! Would love to know your favorite juice combo. Thanks for sharing about your experiences Diane. I am a canary too so I totally relate to this. My favorite supplement is Recancostat to raise glutathione. It is time for the canaries to sing loudly about these issues . Hello fellow canary. Yes I agree we do need to sing loudly. I do think it will eventually catch up with everyone and in ways they will not know what triggered their problems. I consider myself lucky to know. I agree. These toxins are insidious and sneak up silently. I was inspired by your post to share my latest experience with MCS. Time to sing! Alisa I do have an amazing family. We're still in the process of renovations and when they can tell I'm in danger of too much exposure they usher me quickly out of the house to safety. I just found this post via Heather's post. I love these recipes! Excellent. And I'm so sorry you were exposed to those terrible toxins. I'm super sensitive to smells (exhaust, smoke, etc) and all chemicals. This came about right after I was diagnosed with Crohn's Disease. It's pretty bad. For example, every time I return home from New York I can feel my body craving fresh veggie juice and I drink them constantly for about a week (and do a liver detox). I love these recipes you have here. I'm a huge beet lover, so I know I will enjoy Golden Joy!